The white grape is a new breed between Blanc d'Ambre x Madeleine Royale, According to 2013 were done DNA analysis became the presumed motherhood of Précoce de Malingre disproved. 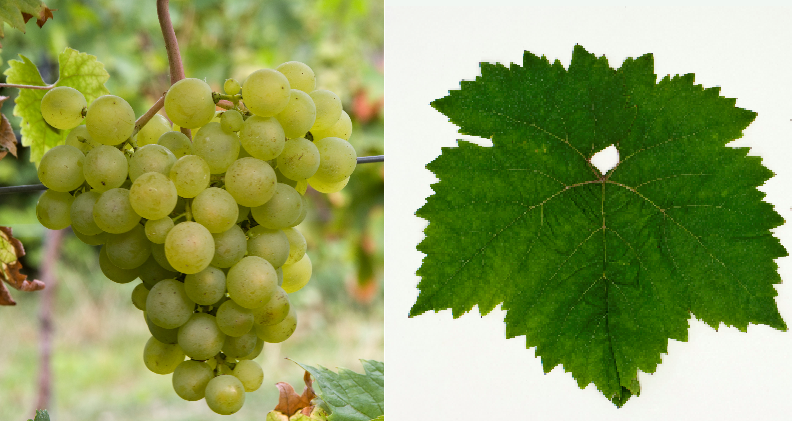 Synonyms are Chasselas de Talhouet ( France ); Maddalena Angevina ( Italy ); Madlen Anževin (ex. Yugoslavia ); White Auger ( Switzerland ); Korai Magda, Madlen Anzhuiskaya, Petrovskii, Petrovsky, Petrovsky (ex. USSR ); Republician ( United States ). The crossing took place in 1857 in France at the Rebsuchtinstitut Moreau-Robert, The name derives from the early maturity (July 22 is the name day of St. Magdalena), the second part means "of Anjou". The early ripening vine is prone to millerandage and Verrieseln, It produces aromatic white wines with citrus flavor, but is mainly as table grape used. The variety is in France. Denmark. England (45 ha), as well as in Sweden. Canada and in the US state Washington cultured. In 2010, 52 hectares of vineyards were reported (Kym Anderson ). The table grapes in other countries are unknown. This page was last modified at 11 January 2019 at 11:25.